Deion Thompson celebrates his RBI. This past weekend the Western Illinois University baseball team (11-18) took on the Oral Roberts Golden Eagles (14-15) at Alfred D. Boyer stadium. 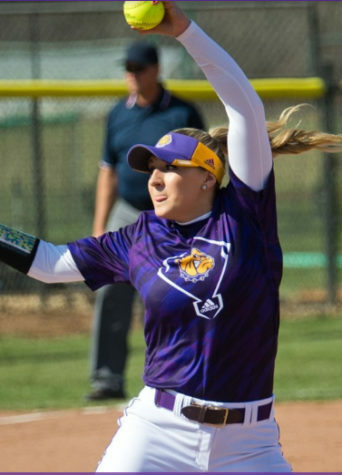 The Leathernecks managed to sweep the Eagles, defeating them Friday, Saturday and Sunday by scores of 8-5, 7-3 and 11-7, respectively. Things got started early Sunday afternoon when the Eagles scored in the top of the first off of a home run. That was their only lead of the game. The Leathernecks responded in the bottom of the first. Junior Kevin Raisbeck led things off with a single through the left side. Junior Drue Galassi then hit himself a home run, allowing the Leathernecks to take over the driver’s seat. This was only the start of the inning. After senior Bailey Montgomery and sophomore Alex Dorethy drew walks, senior CJ Schaeffer Jr. singled through the left side. This single allowed the runners to advance a base. However, the Golden Eagles made an infield error, allowing all the Leatherneck runners to take an additional base, causing Montgomery to score, Dorethy to advance to third and Schaeffer Jr. to advance to second. After another Golden Eagle error on the next batter, Dorethy scored, Schaeffer Jr. moved to third and senior Steve McShane reached first. 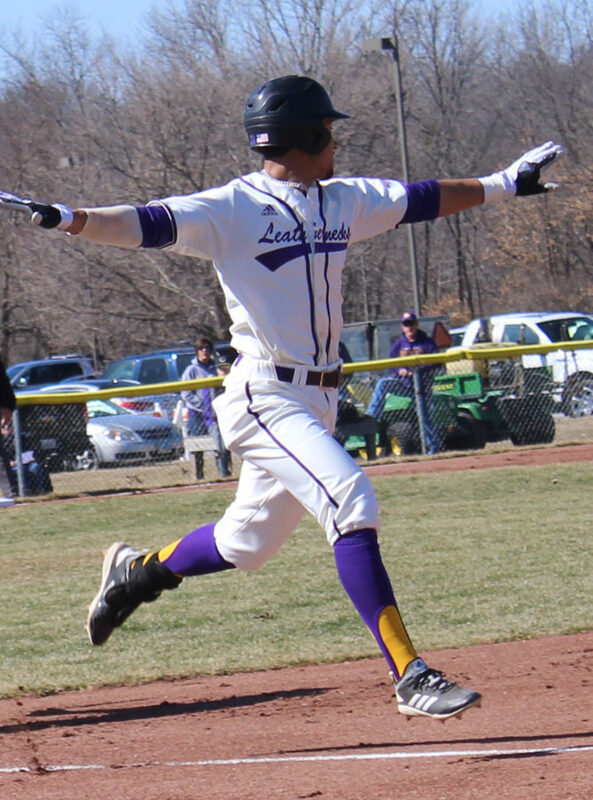 McShane ended up stealing second base a couple of batters before senior Deion Thompson singled to third base, driving in Schaeffer Jr. Leathernecks led 5-1 after the first inning. The Leathernecks got on the board again in the bottom of the second after a Dorethy solo homer to increase the lead to five. After the Golden Eagles managed to put up three runs in the top of the third, Western responded in the bottom of the inning by tacking on three more runs of their own. After a couple of walks by McShane and sophomore Dillon Shane, freshman Diego Munoz laid down a sac bunt, setting up runners on second and third for Raisbeck. Raisbeck singled up the middle scoring both runners. A wild pitch allowed Raisbeck to advance to second, just before Galassi singled to right field, allowing Raisbeck to score. The score remained 9-4 until the top of the seventh inning when Oral Roberts put up three more runs. The Leathernecks went on to add four more runs in the bottom of the inning, highlighted by a single by Sears scoring McShane and Schaeffer Jr.
After this series sweep, Western is still fifth in The Summit League standings, but only by one game. Coming into the series, the Leathernecks were looking to get their offense jump started and it happened in a big way. Before this series the team had only managed to put up 10 runs in their previous four games. The team lost all four of those games by a combined 37 runs. In these three games alone, the Leathernecks put up 26 runs. This will be something the team looks to continue as they take on Bradley (17-10) Tuesday at 4 p.m. This is a rematch game, with the Braves coming out on top in the last meeting by a score of 10 to nothing. Looking to avenge their loss on April 2, the Leathernecks have a lot of momentum making them hard to beat.